Four Chapters on Freedom contains the full Sanskrit text of Rishi Patanjali's Yoga Sutras as well as transliteration, translation and an extensive commentary. The Yoga Sutras, containing 196 epithets or threads of yoga, is the most respected treatise on yoga. In his commentary on each verse, Swami Satyananda Saraswati fully explains the text and the path of raja yoga. Swami Satyananda was born at Almora, Uttar Pradesh, in 1923. In 1943 he met Swami Sivananda in Rishikesh and adopted the Dashnami sannyasa way of life. In 1995 he left his guru's ashram to live as a wandering mendicant and later founded the International Yoga Fellowship in 1956 and the Bihar School of Yoga in 1963. Over the next 20 years Swami Satyananda toured internationally and authored over 80 books. In 1987 he founded Sivananda Math, a charitable institution for aiding rural development, and the Yoga Research Foundation. In 1988 he renounced his mission, adopting kshetra sannyasa, and now lives as a paramahamsa sannyasin. Two pandits entered the ashram to attend satsang. It was a cool, refreshing evening and a large mat had been laid out on the lawn. The pandits were the first to arrive and they sat on the mat directly in front of the guru's seat. Soon many other people arrived and when the guru took his seat, the satsang began. Initially, the satsang was concerned with asana, pranayama and other yogic practices, but after some time the pandits said to the guru, "We have come here to discuss more important things; we have come to ask you about the philosophical implications of samadhi according to Patanjali." The debate began. 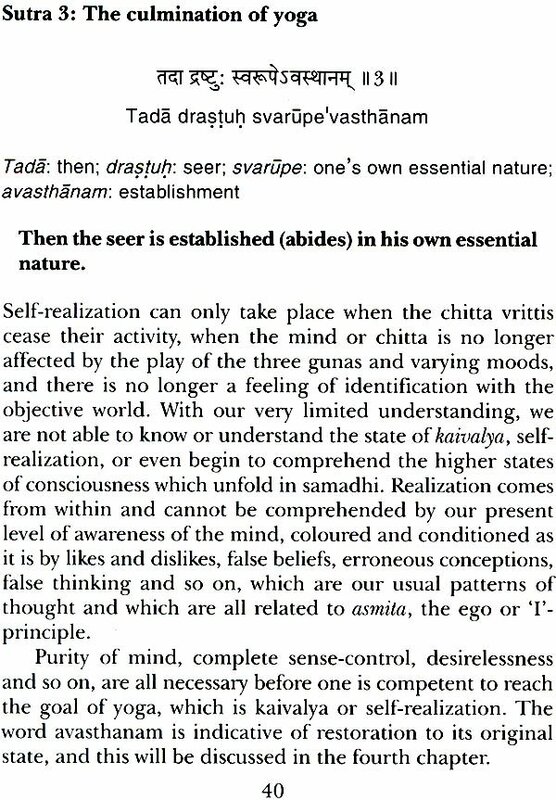 One pandit insisted, "Asamprajnata samadhi is surely the same as nirbeeja samadhi." The other disagreed, "No, no you are totally wrong, they are different." Each began to quote widely from various scriptures to prove their point of view and soon they were having quite a furious argument. The guru could not get a word in edgeways so he sat in silence. The pandits became oblivious to him, though at one stage one turned to him and asked, "What do you think? 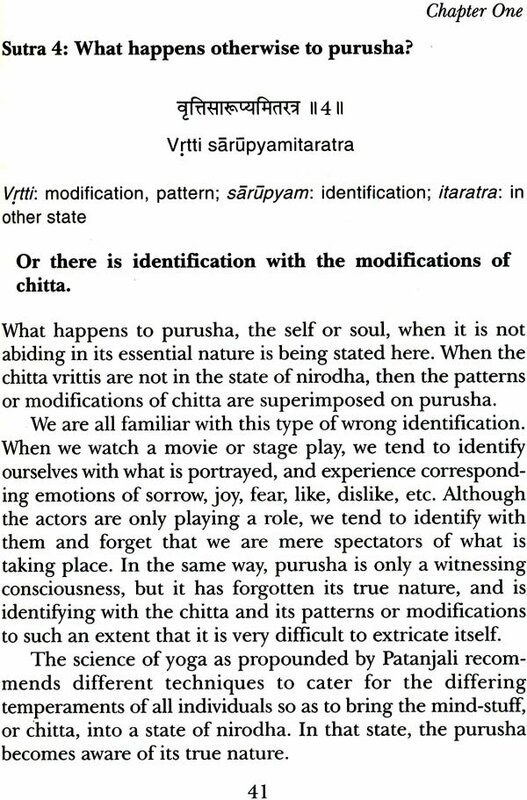 Is samprajnata different to nirbeeja samadhi, or not?" But before the guru could reply, the same pandit continued, "The books that I've read say that they are definitely different." The guru remained silent and the pandits continued their discussion. Eventually they started yelling at each other and almost came to blows. The heated discussion continued for about half an hour. Then a big, fat, contented cow casually strolled onto the mat as though it owned the place. Everyone was amused at the arrival of the new visitor, everyone that is except the two pandits who were so involved in their debate that they did not see it. People moved out of the way and the cow quietly sat down behind the pandits. The cow seemed to be intently interested in the debate and seriously contemplating the meaning of every word that was spoken. Suddenly the cow bellowed, "M-o-o-o-o-o-o-o," with full approval. The two pandits jumped with fright. For the first time in half an hour they were lost for words. Everyone laughed and the cow slowly arose and lumbered away, perhaps to find another interesting satsang elsewhere. The cow uttered the wisest words in the satsang. Unknowingly, or perhaps knowingly, it told everyone, including the pandits, that the Yoga Sutras of Patanjali were not written for intellectual debate and speculation. 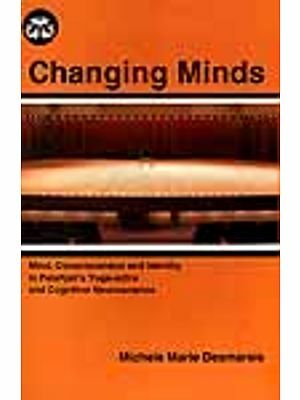 They were written to explain the process and practical methods of raising levels of awareness, gaining deeper wisdom, exploring the potential of the mind and eventually going beyond the mind. The text is primarily practice-orientated; it is not intended to be an intellectual exercise on samadhi. Surely Patanjali himself would have smiled at the appropriate wise words of the humble cow. Many of the verses indicate things that are beyond the range of normal mundane experience and comprehension. This is not done to bring intellectual understanding; it is so that a sadhaka (aspirant) who practices the yoga of Patanjali or any other system will progressively gain insight and understanding of the deeper aspects of his being. He will gradually understand Patanjali's cryptic verses through his own experience. The verses tell him if he is going in the right direction or not and also help him to proceed further. The verses can never be understood intellectually, nor are they intended to be understood in this manner. The verses were written as a map, a guide for the journey from mundane levels to higher levels of consciousness and eventually to liberation. 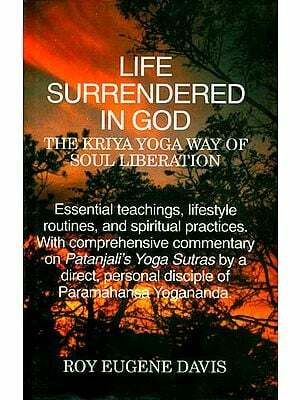 The text shows the path to perfect freedom through sustained yogic practice. § Give basic background information. § Highlight the incredible consistency and perfection of the verses so that the reader can more easily and clearly see the yogic, scientific and psychological truths contained within the main text. § Point out the things that you should notice, but which you may otherwise so easily miss in the simplicity of the verses. 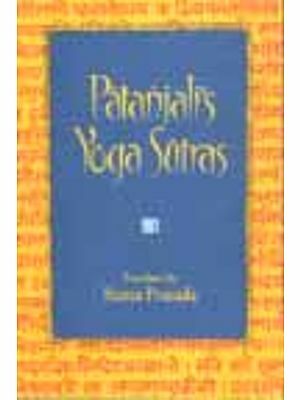 This book is a commentary on the Yoga Sutras, a scripture of 196 sutras (verses) written by the sage Patanjali. In English the text can be called 'Verses on Yoga', but actually the word sutra means 'thread'. The word implies that the written words carry an underlying continuous thought; the various ideas connect together like the beads on a mala to form a complete philosophy. The scripture is also called Yoga Darshana, which is widely translated as 'Philosophy of Yoga', but actually the word darshana has a much deeper meaning. Literally, it means 'to see'. It is derived from drish, meaning 'the seer'. Darshana is the process of seeing. Therefore, Yoga Darshana means 'a process of seeing through yoga', but it does not mean seeing with the eyes, nor does it mean seeing with any other senses in the outside world. It means to see something beyond the senses and beyond the mind. It is a process of seeing with the eyes and other senses closed, and with the mind under complete control. Yoga Darshana is a method of higher perception; it is a means 'to see the invisible' or 'to see with spiritual insight'. All the verses are in methodical sequence; each has its place for a specific purpose. Patanjali moves from one verse to the next, from one topic to the next, with faultless logic. Each Sanskrit word has an exact meaning in the context of the scripture. Many technical words are precisely defined within the text itself. This minimizes misunderstanding and confusion that can arise through words changing their colloquial meaning over the course of time. Many words have no exact equivalent in English; occasionally, two or more Sanskrit words have the same literal meaning in English, but have vastly different implications in the context of yoga practice and experience. The translation has overcome these problems whilst retaining the meaning and flow. § To allow easy memorization by disciples; remember, there were no printing presses at that time. § To allow the verses to be the object of enquiry; too many words would confuse. § To Prevent misquotation and misinterpretation. Though brief to the utmost, the verses contain the essence of Patanjali yoga from start to finish, for they contain maximum information in minimum words. The verses are sheer poetry combined with sublime scientific precision. To gain the best understanding form this book, we suggest that you first of all carefully read both the verses and commentary together, then slowly read the verses alone, one after the other. This will allow you to follow the wonderful sequence and flow of Patanjali's exposition. Patanjali called his system yoga. He did not give it a specific title to differentiate it from other yogic paths. Since the time of writing the Yoga Sutras, however, his method has come to be called Patanjali yoga (the yoga of Patanjali). Raja yoga (including Patanjali yoga) is the science of the mind. Instead of exploring the outer world like other sciences, raja yoga is concerned with exploring the inner world and unleashing the power and knowledge contained within. It is the science of mental discipline and includes various methods of making the mind one-pointed. Patanjali himself defines his method of yoga as 'the elimination of mental fluctuations'. We prefer to call the mind 'the visible tip of pure consciousness', which encompasses the conscious, subconscious and unconscious layers of being. Therefore, we translate Patanjali's definition as follows: "Yoga is the control of the patterns of consciousness." Specifically, Patanjali yoga is that system which consists of eight stages: yama, niyama, asana, pranayama, pratyahara, dharana, dhyana and samadhi. It is therefore widely called ashtanga yoga (the yoga of eight stages).